Closed for the season. We will re-open in November. ﻿Here at NUTS, we look beyond the typical seller-consumer philosophy. By working with local consignors and individual sales representatives, we cultivate a community presence as we strive towards providing affordable winter gear for all. In doing so, we help people reach their financial goals by earning and saving, allowing the buyer to become the seller. We are excited to now offer Nikwax Waterproofing for your Winter needs. Drop your items off at our front desk and we will do the rest. 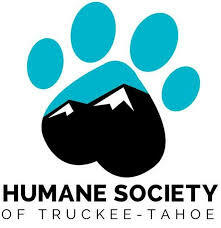 Did you know that we have an account for the Humane Society of Truckee-Tahoe? All gear donated to that account is sold with 100% of the sale going to the HSTT. This year we donated $592.35 to the Humane Society of Truckee Tahoe. That same day we adopted our new shop dog Fiona. You can find our shop, and dozens of other great local businesses, in the Cobblestone Center in Tahoe City. Shop around for a bit if you'd like, or make a day of it and enjoy lunch, art, and film while you're here. We are within walking distance of many local accommodations, but if you choose to drive, don't worry. Parking is free and plentiful, all day, every day.